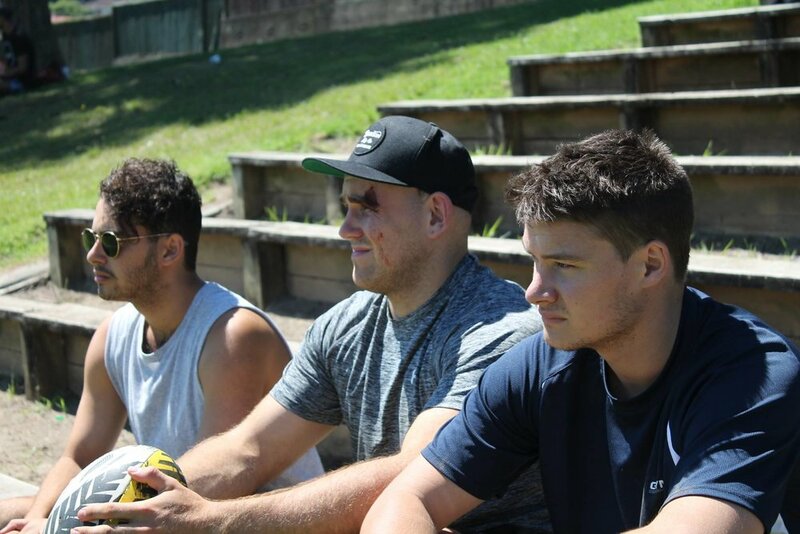 With Balls, Navi gave the audience the opportunity to take an in-depth look at New Zealand's infatuation with the game of rugby and how its religious status can affect the lives of those involved. Balls allowed audiences to access an otherwise ‘unseen world’ from the locker rooms. Balls’ production held an importance for us at Navi Collaborative because it allowed us to bring together two worlds which usually remain separate, sports and theatre. We recognized the potential that core member, Joshua Baty's story had to be an entertaining, engaging and thought provoking experience for theatre and sports lovers alike. We were also excited and proud to bring another original work from our company to an Auckland Stage. The goal for our debut season of Balls was to reach audiences who wouldn’t normally take themselves to the theatre. We feel that Balls is a uniquely Kiwi play that has relevance to those in and outside of the ‘arts’ world. Originally a 10-minute piece, Balls has grown up right through its workshop days into a fully developed 90 min stage play that had great success as part of the 2016 Rangatahi Season (‘Emerging Artists’ Showcase ) at Te Pou Theatre in New Lynn, Auckland. Balls received great reviews for its Kiwi humor and rugby worthy raw intensity.